Tomorrow is The Secret of the Fortune Wookiee's book birthday. 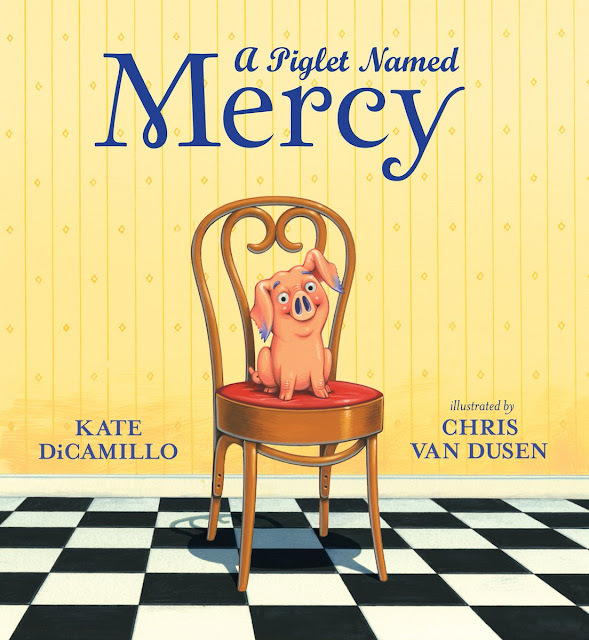 If you're anything like Mr. Colby Sharp or your average fourth-grade student, you have been waiting for what feels like years for this much-anticipated book to hit shelves. 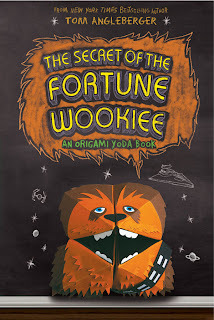 I have a brilliant idea to help pass the final hours until you can visit your local independent bookshop to buy a copy: watch Tom Angleberger's The Secret of the Fortune Wookiee video to learn how to fold a Wookiee cootie catcher. Thank you, Tom Angleberger, for this fantastic video tutorial. Borrow The Secret of the Fortune Wookiee from your school or public library. Whenever possible, please support independent bookshops. The very talented Mark Turetsky shared the following video of him recording The Secret of the Fortune Wookiee audiobook. I'm looking forward to listening to the full recording during my morning commute. Thank you, Mark! I have been waiting for this day!! Long live the Fortune Wookie!